I know they have the same owner, but sending Treve to a first-year stallion? Ugh. Promotional, Marketing Mix's little sister will race one more time and then go to American Pharoah. Correct me if I'm wrong, but aren't Violence and Take Charge Indy both overseas. Catalina wrote: Correct me if I'm wrong, but aren't Violence and Take Charge Indy both overseas. Take Charge Indy is headed to Korea, if he's not already there. Violence is at Haras la Pasión in Argentina for Southern Hemisphere duty, but he is still standing at Hill n Dale in 2017, unless something has changed really recently. He's looking pretty spectacular at La Pasión, too. He sure is a stunning specimen. Too bad his career was cut so short. I am glad to read that someone else thought the same. 2017 matings: ROSALIND a big powerful G1 winner, G1 performed from 2 to 4yo, SPEIGHSTOWN has sired 14 G1 winners & 11.8% BT winners #SF. I was personally hoping to see her go to Dubawi, but oh well. Maybe net year. Kind of neat to see Cambiocorsa's 2 daughters being bred to him. Many of these mares may have been posted already, but I thought it was a nice write-up by DRF's Nicole Russo. Beholder has won three Eclipse Award divisional titles, and is favored to take home a fourth after her stirring Breeders' Cup Distaff victory in her career finale. For her first mating, she will visit fellow 2-year-old champion Uncle Mo, who got off to a phenomenal start with his first crop, led by champion and classic winner Nyquist. Uncle Mo, by Indian Charlie, is from a line known for its professionalism and good dispositions; that also makes it an ideal cross for the high-strung Beholder. Better Not Cry, by Street Cry, is out of blue hen Better Than Honour. One of the most outstanding families in the stud book. Bridal Memories is out of Grade 1 winner and multiple stakes producer Memories of Silver; this is an outstanding Darby Dan family, particularly when it comes to turf fillies - making it an appropriate cross with turf Grade 1 winner Data Link. The Kentucky Oaks winner is part of an outstanding book this year for Pioneerof the Nile, who seems to be getting a great boost from following American Pharoah up with Classic Empire. This mare is the dam of Grade 1 winners Danza and Majestic Harbor. She will be one of the highlights for the first book of California Chrome, favored to win his second Horse of the Year title. The long-winded graded stakes winner was purchased specifically for the first book of this globetrotting turf router, who will stand for an intriguing multinational partnership that should get him an outstanding book. The resulting foal out of this half-sister to classic winner Shackleford and several other stakes horses will be a full sibling to her Grade 1-placed stakes winner Uncle Lino. This Coolmore purchase, dam of European classic winner Harzand, will visit the operation's star stallion. Iotapa is a multiple Grade 1 winner. The Canadian Horse of the Year is set to become a world traveler; after heading to England to be bred to Frankel, she will then ship to her new home in Japan, as interests from that country purchased her at Keeneland November. The dam of California Chrome will visit the sire of American Pharoah in 2017 - expect the resulting foal to be a social media star. This young mare is a Grade 2 winner. The Group 1-winning British sprinter visits the international titan for her first mating. Another Grade 2 winner, Moulin de Mougin is a half-sister to Grade 2 winner Schiaparelli. She is the dam of Grade 1 winner Midnight Storm. This is the second year in a row that the popular mare, who was unbeaten in her native New Mexico, will visit a highly-anticipated first-year sire. She was bred to American Pharoah this year. Charles Fipke purchased this regally-bred Breeders' Cup Distaff winner out of the Phipps reduction at Keeneland November. He plans to support his own stallion Tale of Ekati with her, as he feels the cross can be productive; Pleasant Home's daughter S'Avall is the dam of the stallion's stakes performer Tale of S'Avall. Still waiting for more names to roll in for the Triple Crown winner's second book; this one is a stakes-placed half-sister to multiple Group 1 winner Marketing Mix. Rosalind is a versatile Grade 1 winner who would seem to match well with Speightstown, who can get out any sort. This mare, a $500,000 buy at Keeneland November, was the second most-expensive of several mares California Chrome LLC and/or Perry Martin landed for their incoming star. She is a half-sister to Grade 1 winner Diplomat Lady and Grade 2 winner Dream Play. The mare finally delivered on her world of potential by winning the Grade 1 Humana Distaff this year. She was the most expensive Keeneland November purchase for California Chrome's crew at $560,000. The mare is a half-sister to Grade 1 winner Marylebone. The two-time Prix de l'Arc de Triomphe heroine will be part of an outstanding first book of mares for this multiple Group 1-winning juvenile. This mare is the dam of multiple Group 1 winner The Fugue. Yet another Keeneland November purchase for the stallion, the mare is the dam of graded stakes performer Suddenbreakingnews; she is also a half-sister to Grade 1 winner Composure. Mandy Pope, who purchased the 2010 Breeders' Cup Ladies' Classic winner for a sale-topping $3.8 million at Keeneland November, said she would send the mare back to North America's reigning leading sire. The resulting foal will be a full sibling to smashing maiden winner Unique Bella. Untapable was an Eclipse Award winner in 2014, when her signature triumphs included the Kentucky Oaks and Breeders' Cup Distaff. She was expected to ship to England this week for her first breeding early next year. Frankel is concluding an outstanding freshman season, with Group 1 winner Soul Stirring and five other group stakes winners. The latest in a series tracking bookings for noteworthy mares for 2017 as they come in - organized alphabetically by mare name. The La Brea winner is one of several Grade 1 winners we can now add to what is simply an outstanding book for this young classic sire. Pioneerof the Nile obviously got a nice boost to his book in 2016, immediately following American Pharoah's star season; however, following that up with likely juvenile champion Classic Empire seems to have REALLY put him over the summit, both confirming that the sire wasn't a one-hit wonder, and confirming his ability to throw precocity in a market that favors same. A stakes-placed Galileo mare out of a Group 1 winner. She is the dam of Grade 1 winner In Lingerie, by Pioneerof the Nile's sire Empire Maker. Colleage Joe Nevills recently reported the plans for some of Stonestreet's star mares. This will be the first mating for this multiple Grade 1 winner, part of what's shaping up as an outstanding book for proven young classic sire Curlin. The multiple graded stakes winner will be part of this War Front stallion's first book. Another Grade 1 winner for the stallion. This Grade 3-placed Medaglia d'Oro mare, who is out of Grade 1 winner Jostle, goes to one of this year's quality freshman sires. This mare, who has already thrown a few winners, was a champion turf female. I'm seeing a few turf-type mares pop up in Pioneerof the Nile's book, suggesting folks believe in his versatility, now that he has turf Grade 1 winner Midnight Storm to his credit. This Group 1 winner is another standout in a solid first book for the multiple Group 1-winning European newcomer. Another Grade 1 winner for Pioneerof the Nile. Are you sensing a theme? Here is another Grade 1 winner. Another turf-type mare, as the dam of Breeders' Cup Juvenile Turf winner Hootenanny. Stakes-winning Distorted Humor mare is out of champion Soaring Softly, from another outstanding Darby Dan family. The resulting foal will be a full sibling to turf Grade 1 winner Midnight Storm. The dam of multiple Group 1 winner Avenir Certain. This will be the first mating for the Grade 1-winning Bernardini filly, the only daughter out of champion Rachel Alexandra. The foal will be closely related to Jess's Dream (Curlin x Rachel Alexandra), who won his only career start in impressive fashion, but is plagued by physical issues. The four-time stakes winner will be bred to either the consistent Candy Ride or his best son at stud, colleague Nick Fortuna reports. The resulting foal will be a full sibling to Breeders' Cup Juvenile winner and likely champion Classic Empire. Dam of Grade 1 winner Power Broker. This will be the first mating for the Breeders' Cup Distaff winner, who was a multimillion dollar purchase by Three Chimneys at Fasig-Tipton November. The dam of tough Grade 3-winning turf sprinter Lady Shipman is a solid get for the Kentucky Derby winner's first book. The experts clearly like this cross, as Lady Shipman is set to go to Nyquist's sire, Uncle Mo. This stakes-placed mare is part of the Kentucky Derby winner and juvenile champion's first book. This mare is a multiple Grade 3-winning turf sprinter. Customer Base is a Grade 3 winner by proven turf sire Lemon Drop Kid, and Hard Spun has multi-surface appeal; plenty of options with this interesting cross. 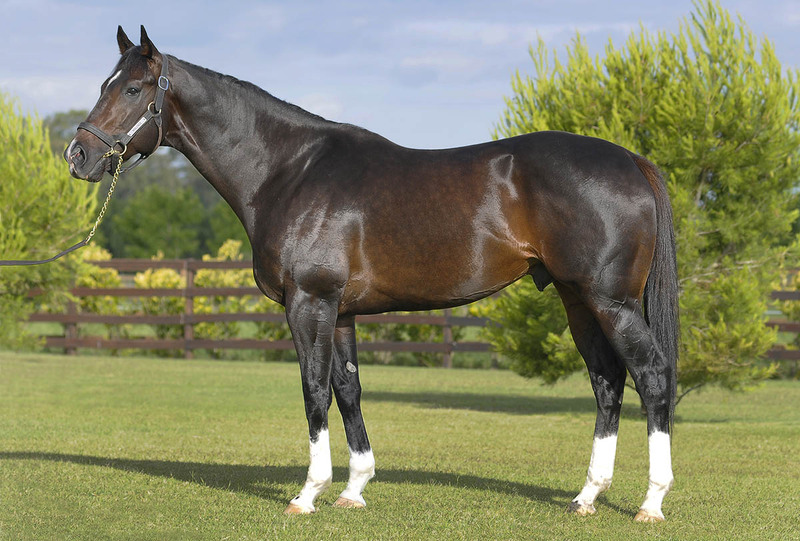 Although he never competed on turf during his own career, More Than Ready has become a hidden turf sire and is very popular in Australia, his shuttle location. Educating is a half-sister to graded winners Diversy Harbor, Keertana, and Snow Top Mountain. When the resulting foal shows up in a two-turn turf maiden in 2020, bet him or her with both fists. War Front mare was a Grade 1-placed juvenile; Union Rags is among this year's leading freshman sires. Add this stakes-winning A.P. Indy mare to the outstanding book the elite young sire is assembling for 2017. This mare was a graded/group stakes winner in both Chile and the U.S. for the Don Alberto group, which helped repatriate Empire Maker last year. This multiple stakes-placed mare is another name for the globe-trotting turf standout's first book. Here's an international one, as the dam of a German Derby winner will be bred to a Melbourne Cup winner. This mare, who sold for $2.2 million to Mt. Brilliant at Keeneland November, will be bred back to North America's reigning leading sire for a full sibling to her Grade 1 winner Sweet Loretta. This Grade 3-winning turf sprinter was about as tough as they come, winning 11 stakes at eight different tracks, rarely missing the board, and setting course records twice. Recently retired, the plans call for her to be bred to Uncle Mo, adding clear commercial appeal, before being sold at a Kentucky mixed sale next November. This Grade 1 winner is one of the mares China Horse Club will send to the first-year stallion. This stakes-winning mare is a half-sister to multiple Grade/Group 1 winner Flotilla, best known for winning the Breeders' Cup Juvenile Fillies Turf. Grade 1 winner is part of his outstanding book. This winning Bernardini mare is out of Kentucky Oaks winner Keeper Hill, making her a half-sister to stakes performer Keep Up. Grade 1-winning mare from a terrific family was a $650,000 purchase by the multinational SF Bloodstock and Australia's Newgate Farm at Keeneland November. She will be shipped to Australia, and bred to Capitalist during the 2017 Southern Hemisphere breeding season. The Grade 1 winner, also an SF and Newgate purchase out of the Conquest Stables dispersal at Keeneland November, will make her new home in Australia. She'll also be covered during the 2017 Southern Hemisphere breeding season by Capitalist. The unbeaten New Mexico-bred millionaire was initially slated to visit California Chrome in his first season at stud. However, a wrench was thrown into those plans when the mare lost the American Pharoah foal she was carrying about three weeks ago, per one of her co-owners speaking to my colleague Jay Hovdey. Peppers Pride could be bred back to American Pharoah, or she could go straight to California Chrome, as intended. Stay tuned. Multiple graded stakes-winning turf sprinter. This mare is out of Supercharger, making her a half-sister to Kentucky Derby winner Super Saver; it is the immediate family of outstanding broodmare Get Lucky, and you definitely expect mares from this family to produce. Quickest has lived up to her lineage, producing Grade 1 winner Callback and stakes winner Defy Gravity. It's another good get for Pioneerof the Nile's book. Brazilian Group 1 winner is another international mare for Team Valor. She was multiple stakes-placed as a juvenile. This stakes-winning daughter of War Front is a half-sister to Grade 1 winner Taris, who is also set to visit Curlin this season; the connections clearly like this cross. This War Front mare is from the Claiborne family of outstanding broodmare Preach, the dam of Pulpit; a very intriguing cross. This Grade 2-placed multiple stakes winner is winding down her career; she is expected to start in the Sugar Swirl this weekend at Gulfstream. Prominent horse owner Vincent “Vinnie” Viola, who races under the name of St. Elias Stable and has owned horses this year alone the quality of GI Spinaway S. heroine Sweet Loretta (Tapit) and Grade II winner Nonna Mela (Arch), has been nominated by President-Elect Donald Trump to be the United States Secretary of the Army, reported USA Today Monday morning. Finally, a mare announced as going to War Front. If anyone has any more, please post them! I'm keeping track, as usual.